An old (1670) 2-storey traditional house, entirely renovated and equipped with all the amenities. 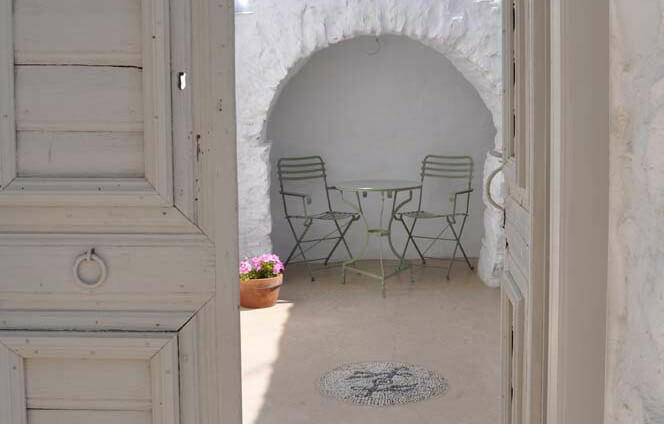 On the ground floor a cosy courtyard; on the first floor is a large terrace with breath-taking views over the churches of Chora and the sea (the gulf of Katapola). Tranquillity and privacy are absolute. The exposure of the terrace is west, with beautiful sunsets. A truly magical atmosphere. A Cycladic style one –storey house, DIVIDED INTO TWO APARTMENTS, each with a large veranda and a portion of the garden. There is absolute privacy between the two units. There is also a small Studio for 2 people, with a large veranda and a fully equipped kitchenette. All have a fantastic sea view. 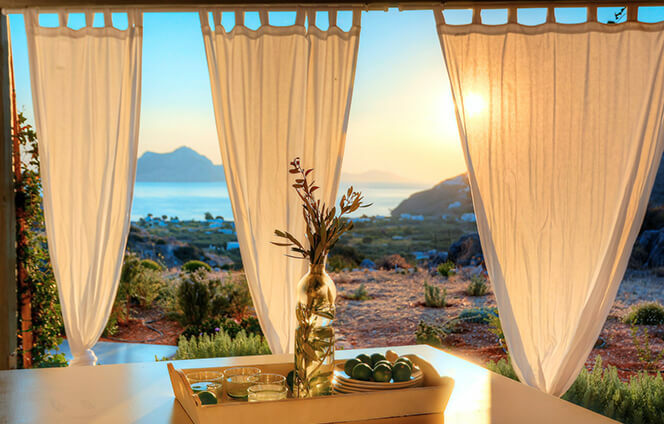 We are in a wonderfully peaceful location; the surrounding landscape is spectacular, overlooking the sea, the mountains with the picturesque white villages of Tholaria and Langada, the valley with olive trees. 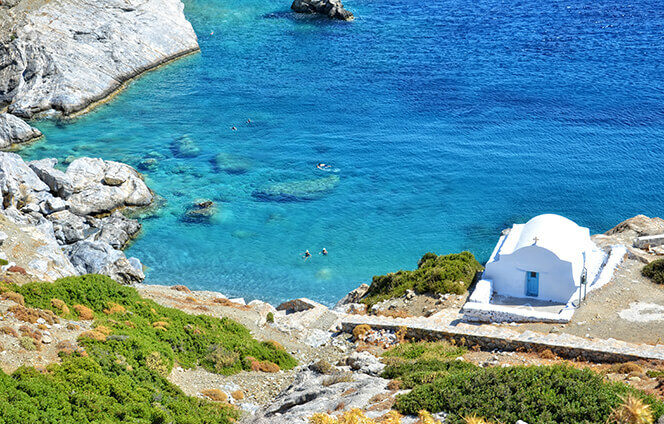 Amorgos is still unspoiled and the traditional customs exist in everyday life. The breath-taking scenery is full of beautiful walks, herbs and flowers. You will find ancient culture, outdoor recreation and hospitality in a relaxing atmosphere. The island of “The Big Blue” has inspired a huge amount of artists from all around the world with its pure nature, the transparent blue water and the picturesque villages. Stay 1 month in the low season at a cheap rate. If you want to come in low season for a long stay, contact us for a quote.